Anyone who rides dual sport is well acquainted with the Michelin Anakee tires. In 2013, we will be getting a new edition to the Anakee name. By the looks of it, this will be a significant upgrade. The first thing you need to know about the Michelin Anakee 3 is that it is unlike any dual sport tire you have seen before. 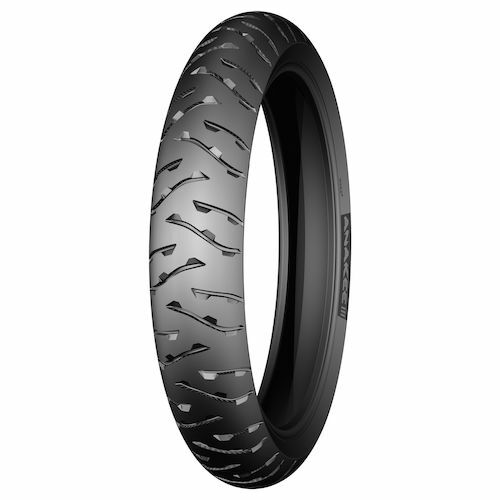 With a similar 'shock and awe' value to the Michelin Pilot Road 3, the Anakee 3 is full of unique tread patterns and ground breaking tracking (pun intended). The grooves are cut in an asymmetrical way with rectangular detents interspersed along the deep sipes. This interruption of the sipe provides several additional edges in the tread that help to grip and break up dirt, not only by gaining traction, but also by encouraging evacuation of dirt and mud. Every other groove extends all the way to the edge of the tire, providing that much needed edge grip without disturbing the flat portion used on the street. Upon closer inspection, each groove has what looks like teeth along the inside edge of the slice, further aiding grip and evacuation. Michelin claims better grip in all conditions, wet, dirt, and asphalt, as well as a longer tread life. 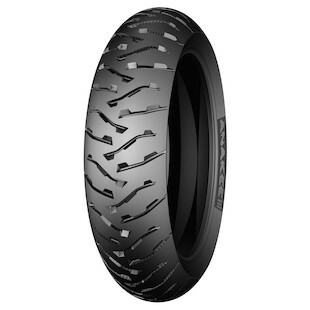 If this is true, then the Michelin Anakee 3 Tires could provide an easy solution for all types of road-biased dual-sport riders as one of the most versatile tires we have seen to date.